Like the old Lionel Ritchie song, Lao Minnesotans could go all night long debating what worked and what didn’t with the elections, what surprised us and what we had confirmed. It’s been a long time since we’ve had such a nail-biter of an election, with so many opportunities and so many risks for our community in play. There are many areas where Lao Americans need to understand our potential for impact and where we we have room to grow. Neither DFL nor GOP candidates made much election-specific outreach to Lao Minnesotans this year. Once we do decide on a candidate, we often vote repeatedly for clear friends of the community. We met almost no one new this year. There were very few overtures made to address our specific concerns on key issues for Lao Americans in any language. Little was done by party operatives to help our community get out the vote or provide voter assistance. That may have cost a few key races, particularly in St. Cloud. Where were the Lao supposed to fit in with the DFL or GOP stance on immigration reform and family reunification, education reform, economic recovery, or how our elders and families’ needs be addressed future health care models in America? A notable exception was Secretary of State Clinton’s historic trip to Laos this summer, and her pledge to advocate for more support to help us in the Lao reconstruction and to address the issues of UXO. While this was definitely one issue we were concerned with, there was little clarity on how we would proceed to reduce barriers to trade with Laos, and increase NGO assistance and other intercultural exchanges. How would we address human trafficking issues to assist victims and punish traffickers? What will be done to reduce hardships on families when new policies for Lao deportation are established? These are questions we discuss more than many of the other wedge issues we were presented with. Besides the presidential election, there were a number of significant races nationally that are likely to prove inspirational and energizing to Lao Minnesotans. Tammy Baldwin’s triumph over the popular former governor Tommy Thompson in next-door Wisconsin sets precedent as the election of the first openly gay U.S. senator. Mazie Hirono’s victory in Hawaii is significant because she is now the first Asian-American woman to be elected to the Senate, and Hawaii’s first female U.S. senator. And our first Buddhist congresswoman. Perhaps the most interesting for Lao Minnesotans is the election of U.S. Representative Tammy Duckworth in Illinois. A double-amputee Iraq-war veteran, Duckworth is half-Thai, and the first Thai American to be elected to Congress. Our community can learn a lot from their journeys to office. In terms of national issues, many Lao Minnesotans were watching marriage equality bills. All four states with measures on their ballots passed in support of equality. Award-winning writer Saymoukda Vongsay was clearly the most public voice advocating for marriage equality among Lao Minnesotans. The Marriage Amendment bill sought to ban marriage equality. It was defeated by 52%, which is enough for victory, but certainly not an overwhelming majority. Informal conversations suggest that many Lao Minnesotans saw the issue as protecting cultural diversity: More freedoms are preferable to faith-driven restrictions and excessive legislation. Voter ID laws were also a big topic, with many Lao Minnesotans concerned that it was hard enough to get our community civically engaged. The Minnesota proposal was too vaguely worded that legislators might enact a law that went beyond what the public intended. Most of us would have preferred bills that actually reduce barriers to creating and getting jobs. Many familiar friends of the Lao Minnesotan community were re-elected this year, including U.S. Senator Amy Klobuchar, who has often attended events such as the Lao Assistance Center’s Annual Dinner. U.S. Representative Betty McCollum handily trounced the other contenders by an overwhelming majority. Representative McCollum has been a national leader on addressing UXO issues in Laos. We also saw the re-election of U.S. Representative Keith Ellison, who has often visited Lao community organizations in his North Minneapolis district and kept informed of our domestic concerns. In the Minnesota House of Representatives, long-time friend of the community Joe Mullery won his re-election bid. Representative Mullery has worked for years with Lao community leaders to examine ways to get Lao back into the workforce. One of the most difficult races in Minnesota was the Hennepin County Commissioner for District 2 between former Minnesota State Senator Linda Higgins, and attorney Blong Yang, who are both significant and visible allies of the Lao community historically, and who both ran strong campaigns. The tightest race was undoubtedly for U.S. Representative of District 6, where Michelle Bachmann was the incumbent, challenged by Jim Graves. Less than 4,300 votes determined the results. 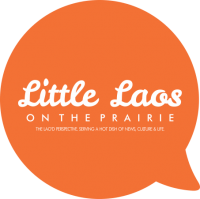 The Lao Minnesotan community has several families in the district, which includes Stillwater and St. Cloud, but there hasn’t been much buzz about how much their households were involved with either side. It’s difficult to tell what was going on in Lao Minnesotan minds as they cast their ballots on November 6th. There were no formal surveys conducted in our community at a national or local level before the election. But we can take some educated guesses at what were key polarizing issues affecting the Lao American vote. On Facebook, several Lao small business owners and entrepreneurs objected to anything that smacked of ‘wealth redistribution,’ ‘class warfare’ or making villains of free enterprise or suggesting higher taxes to cover collective community services and infrastructure. Even if they weren’t immediately at risk of facing higher taxes, they did not want to have to deal with them if they moved into the higher tax brackets. Many were expressing a concern about excessive regulation, even those designed to level the playing field for emerging entrepreneurs. Romney could have commanded a strong lead here, but more often than not, he projected an image of the American dream many Lao Americans did not feel they could ever be a part of. Veteran rights, recognition, and naturalization came up with those who assisted U.S. interests in the 20th century. Neither campaign addressed these concerns significantly. Many Lao American families were concerned about the safety of their children who were serving overseas. President Obama’s better track record with foreign policy and efforts to wind down overseas deployment while maintaining a stronger, if smaller, military may have won many over. And getting Bin Laden. Try as he might, Mitt Romney never got convincing traction on immigration issues. As families with primarily refugee roots, Lao Minnesotans were most likely not going to get on board with any program that made immigration even more difficult. Many of us can still recall what it was like trying to get into the Thai refugee camps in the 1970s and 80s and what a frightening journey that was. And those who haven’t forgotten their roots can empathize with those who fall through the cracks of the American immigration system. Without proposals to implement humane policies for refugees and immigrants, a Lao Minnesotan vote is hard to get. Lao Minnesotans were definitely concerned on issues of education. Many of their children are the first in their families to attend college and struggling to find ways to afford it. As plans emerged that Romney and Paul Ryan would cut Pell Grants, and end affirmative action programs and policies that assist historically underserved populations such as ours, this had a chilling effect on any enthusiasm we felt towards him. Obama’s campaign promises to help everyone get access to college education was far more compelling. Also, with so many young Lao American families today, threatening to kill Big Bird on national TV isn’t going to win you points. Health care reform concerned many Lao Minnesotan households because they could see so many of their family members slipping through the cracks while their costs skyrocket. No one’s been able to come up with satisfying or comforting responses to our community, but more of our families would rather have the opportunity for equal access to health care than not. But at the end of the day, the biggest nail in the coffin of the Romney campaign was a constant violation of one of the core Lao values: A commitment to truth. Maybe that sounds simplistic and naive, but it still matters to most of us. As so much footage emerged of him flip-flopping and outright lying to the American people, well, there’s a price for that in both mainstream and Lao Minnesotan politics. When you and your vice-presidential candidate are running around faking photo-ops in soup kitchens or Hurricane Sandy relief, Lao Minnesotans can see through that and it’s deeply offensive. Most of us have been on both sides: Helping and the helped. If you just show up for a pretty picture with no real commitment, and you aren’t really helping us to build a country, our community is not going to commit to you, no matter which party is backing you. But now the big question is: Will things be different by 2016? What does it mean to really move forward? Personally, I could also be up for Michelle O. and Elizabeth Warren or Tammy Duckworth.